A unique holistic therapy program for young women who are ready to let go of their mental struggles. The Shift helps you see your battle from a different perspective and teaches you different tools to heal yourself. 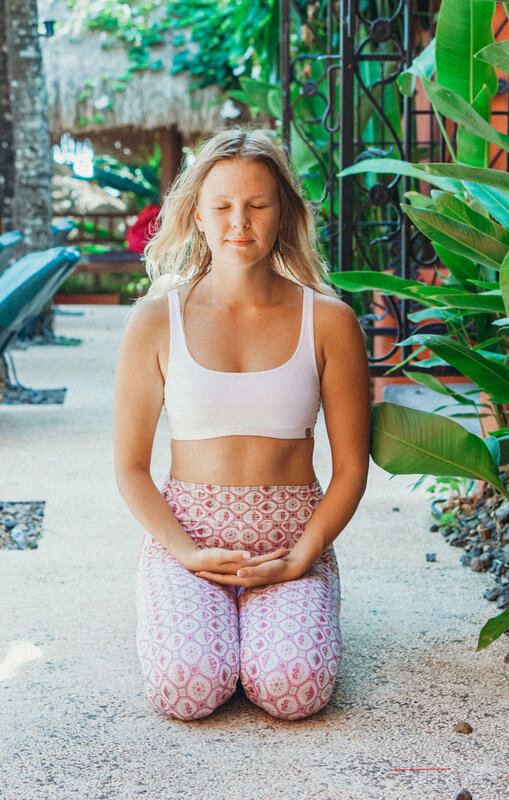 The combination of Mindful Based Cognitive Therapy, yoga, meditation, holistic therapy, spiritual healing and a dose of fun makes this program everything you need. We believe that healing is the process of joining the material and spiritual self, the visible and invisible, the physical and subtle. Working on this can be challenging, however we free ourselves from any heaviness that is not serving us anymore. We free ourselves to become truly real, open and happy. We free ourselves to heal. A worthwhile program for every woman who feels like they have lost their power inside themselves, with the intention to show other women it is possible to change your current situation, because the gateways to wisdom and knowledge are always open. The Shift will show you a path to find the place within yourself where you find your own self-love, full of inner strength and authenticity. From a deeply rooted desire to show other women it is possible to change, the program is set up, created by a group of women who found their own path of healing. The shift uses a wider way of therapies and holistic treatments to reconnect with your own power and start to create a healthy relationship with yourself. The shift includes: one-on-one coaching, healing, yoga, meditation, surf, mindful based cognitive behaviour therapy and more. The Shift is a 2 to 3 weeks program with 3 different stages. Depending on your needs and wishes, you will set up the length of your personal retreat together with the Be Kind team. We believe that awareness is the first step into healing, changing and accepting. To become aware of your struggles, feelings and patterns we need to disconnect first. In this week we use a wider way of therapies and holistic treatments to reconnect with your own power and start to create a healthy relationship with yourself. During the final stage you will plant the seeds for your future; the answers within you will come the moment you are at ease with yourself.